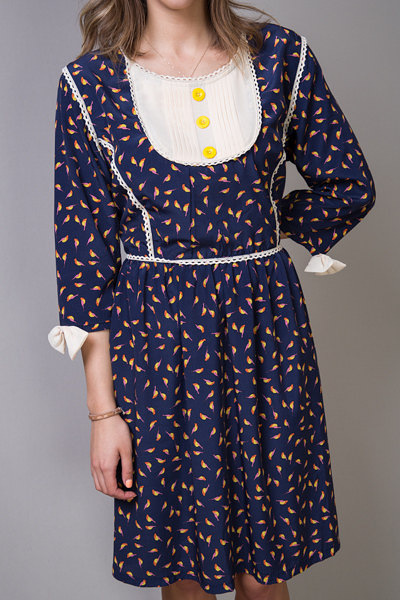 Colorful sparrows dart their way across this navy blue bibbed dress that is made by Knitted Dove. The Color Me Dress has white bows at the ends of the sleeves for extra detailing. It is made of 100% polyester. Hand wash cold and hang to dry.